Do you suffer with severe low back pain or neck pain? Does your MRI reveal disc herniations or protrusions? Have you been told you need back surgery? Decompression Therapy is an effective, non-invasive treatment. Computer technology makes the application safe and comfortable. Do you suffer from a herniated disc, protruding disc, degenerative disc disease, stenosis or a compressed nerve/pinched nerve? Decompression Therapy may be your answer to permanent pain relief without surgery. You will be screened to see if you are a candidate for this procedure. Decompression Therapy is the most promising new therapeutic procedure for compression and disc syndromes! By separating (tractioning) vertebrae apart from one other, pressure is reduced on the underlying cause of the most pain, a compressed nerve. This helps drive down the inflammatory process and relieve pain. Protruding discs often retract a bit, affording long lasting benefits. The computer that controls the whole show! Treatments are short in duration, typically 15-25 minutes. Most patients undergoing this treatment report improvements and a reduction in their pain after two or three sessions. 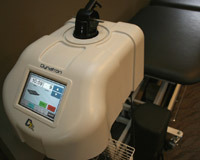 Decompression Therapy is programmed for each individual case using technology developed by Dynatronics (photo to the left). Cost: Only $49-75 per session. Spinal Decompression was developed by Allan Dyer, MD, a former Minister of Health from Ontario, Canada, who was already recognized as a pioneer in the development of the external cardiac defibrillator. He invented the decompression table for low-back disc problems and this proved to be revolutionary in the treatment of low back pain. 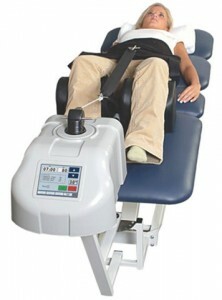 Spinal Decompression gained FDA clearance and approval in the mid-1990’s. Dr. Dyer’s work and research was later updated by Harvard professor and neurosurgeon C. Norman Shealy, MD, the father of the TENS unit. Dennis McClure, MD, a neurosurgeon, further conducted a study that tested over 500 surgical candidates. He found spinal decompression had a success rate between 86 to 92 percent one year post treatment. Researchers at NASA were among the first to investigate the effects of spinal decompression on intervertebral discs. They found that astronauts were relieved of low back pain in an anti-gravity state. A decompression system for the treatment of disc and back pain was developed by a team of physicians and former NASA engineers. Spinal decompression has the capability of decompressing discs to relieve pressure on the spinal nerves caused by disc herniations, degenerative disc disease, sciatica, and facet syndrome. Adjustments can be made for the angle of the distraction and the amount of force needed to decompress specific disc levels. A study with 163 participants revealed the majority reported looking forward to receiving decompression because of he positive results of their treatment, and most were able to avoid surgery. 1. Single lateral herniation 67 cases. 2. Single central herniation 22 cases. 3. Single lateral herniation with disc degeneration 32 cases. 4. Single central herniation with disc degeneration 24 cases. 5. More than 1 disc herniation with degeneration 17 cases. 6. More than 1 herniation without degeneration 57 cases. This research study confirmed the following results: Treatment was successful 86% of the time. Treatment “success” was defined by a reduction in pain to 0 or 1 on the pain scale. In those that reported complete resolution of pain, lumbar range of motion was normalized, and there was recovery of sensory or motor loss. All participants in the group were previously thought to be surgical candidates. Gait improved in 96% of the individuals who started with an abnormal gait, while 96% of those with sluggish reflexes normalized. Sensory perception improved in 93% of the participants, and those with motor limitations 86% improved. 89% had a normal straight leg raise test who were initially tested as abnormal. 90% showed improvement in their range of motion. 90 days after treatment concluded, only 3% relapsed. 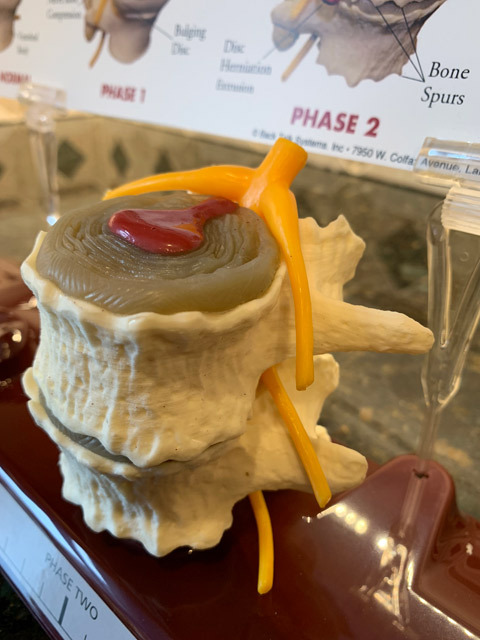 In summary for this research, it was concluded that spinal decompression provides a method for physicians to properly apply and direct the decompressive force necessary to effectively treat disc disease. Following FDA approval, 22 medical centers were asked to collect data on all patients who received spinal decompression for low back pain. 10 decompressions were administered, plus additional treatments if the patient continued to improve. 1. Extruded herniated discs— 68% reduction in pain. 2. Multiple herniated discs without extrusion— 72% reduction in pain. 3. Single herniated disc— 74% reduction in pain. 4. Degenerative disc disease— 74% reduction in pain. 5. 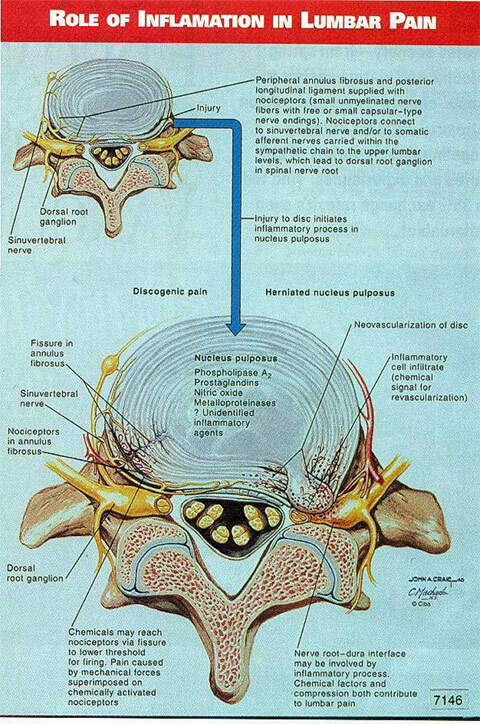 Facet syndrome— 76% reduction in pain. A study involving 778 patients, it was recommended spinal decompression as a primary treatment modality for low back pain associated with lumbar disc herniation at single or multiple sites, degenerative disc disease, facet arthropathy, and decreased spine mobility. Researchers found that pain, activity, and mobility scores all improved after therapy. The average success outcome for all diagnoses was 71%. 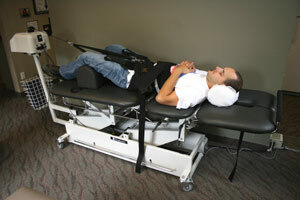 The researchers concluded that spinal decompression be considered as a front line treatment.